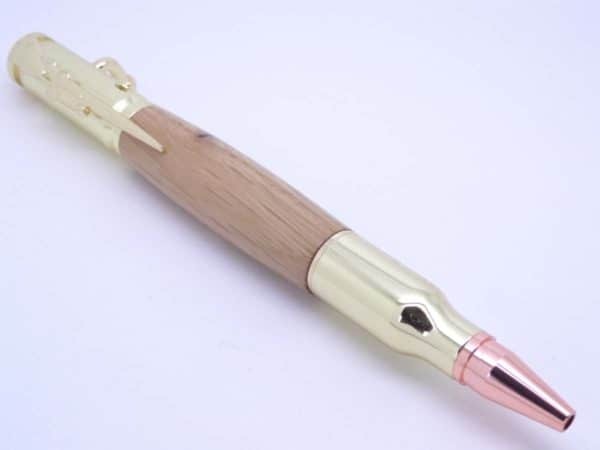 This oak bolt action bullet pen hand turned using a piece of Oakwood in my own UK workshops on a woodturning lathe. 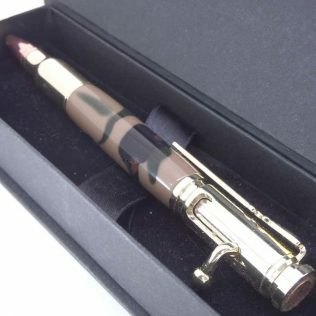 The pen styled upon a bullet and has a high-quality gold-plated trim with a copper plated tip. 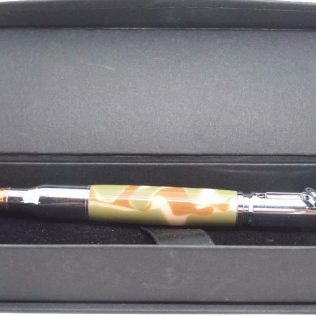 The ballpoint advanced by operating the pens bolt action mechanism. 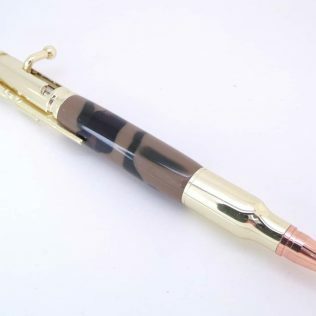 At the top of the pen, a scoped rifle for the pen clip and a copper insert to mimic the percussion cap. 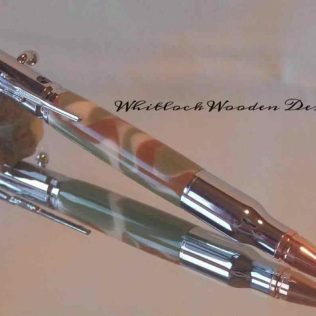 The wood is mounted on my lathe and turned to round and shaped. 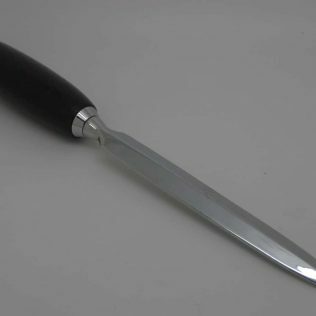 Once shaped it needs sanding to 400 grit and then up to 8 coatings of super glue applying then polishing to 12000 using micro mesh for a durable high gloss finish. 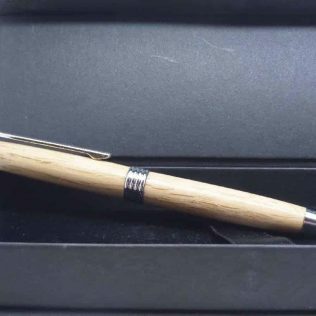 Some of my competitors only use a wax or oil finish but this is not durable enough to protect these pens from wear and tear or from the natural oils and stains it will pick up over time. 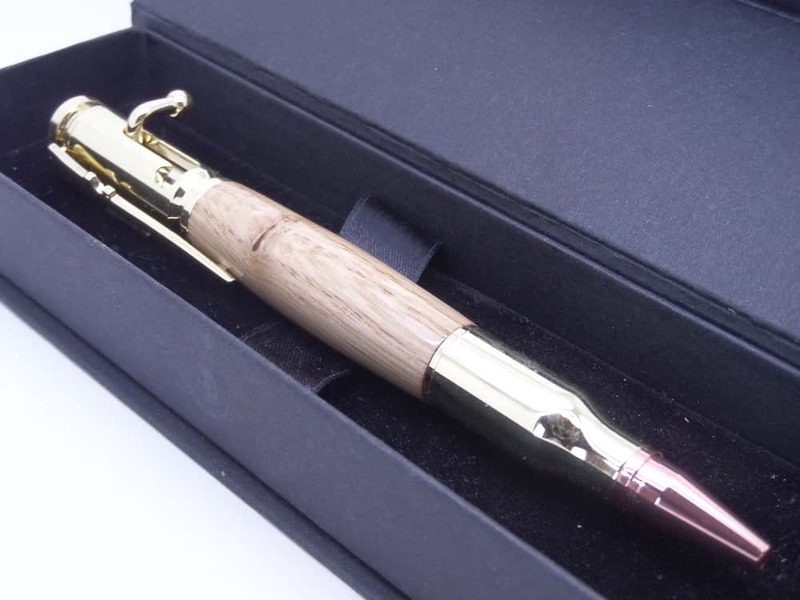 The bolt action bullet pen will make unique wooden gifts for him or anyone who loves the outdoor activities. 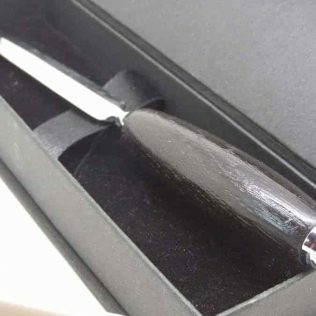 All my pens come in a black presentation box as standard. 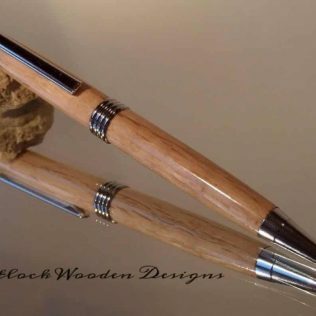 Every piece of wood different these pens will make unique wooden 5th wedding anniversary gifts or Birthday gifts.